The importance of astrology in the life of Indians cannot be measured. Every person, at some point of time, has had a brush with astrological predictions, advertently or inadvertently. Indians firmly believe that astrological prophecies possess the power of changing each person's life. For some people the significance of astrology and astrologers are limited to specific occasions in their or their loved ones life. But for many others, the use of astrology has become an indispensable part of their daily lives. None of their decisions are taken without consulting their astrologers. As a result, astrology now figures as a considerably prominent category for placing classified advertisements. The constantly evolving internet is a boon for the fast-paced world today. With the emergence of online ad booking portals, it is now easy to list your astrology ads in different media. You can now book astrology newspaper advertisements online with Bookmyad.com. In order to get the relevant responses, you can book your classified ads under sub-headings such as numerology, palmistry, birth stones, face reading, and feng shui. To create an effective ad, you can take help from our ad samples. 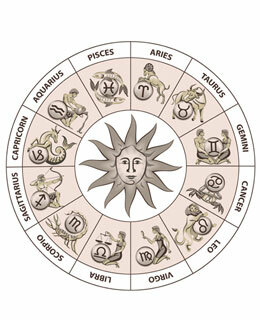 We offer you an ideal platform for astrology ad booking at no extra cost. We provide listings with the best publications. Our experts are always at your service to answer any queries through and address urgent issues concerning astrology newspaper ads. You can contact us anytime via live chat, or call us or email us. Also, with Bookmyad.com you can book astrology newspaper ads with easy payment options that make the whole process hassle-free.